In case you’re tuning in to Friday Five for the first time, my friend Caroline from Adventures in Nonsense started this. The deal is, the last Friday of the month, you post about five of your favorite things from that month. Those five things can be anything; I’ve written about my five favorite purchases to five lessons I’ve learned. If you want to join the Friday Five fun, write your post, link back, and tag me and Caroline so we can check it out, too! Here’s my Friday Five roundup for the first month of 2019! ONE // Weighted Blanket. I’d read and heard about the benefits of a weighted blanket and figured it would be a good solution to my trouble sleeping. My parents gave me one for Christmas, and y’all, it has changed my life. Falling asleep with the “hugging” sensation is so comforting, and I’m sleeping much better than I was before. This one is similar to mine. TWO // Scratch Lounge Classic. My parents originally bought the Scratch Lounge for their old cat Bows, but she passed away shortly afterward (so sad, she was a good kitty). Their new cat Gypsy wanted nothing to do with it, but when Maggie discovered it when I went home for Thanksgiving, she couldn’t get out of it. So my parents let me bring it back to Tennessee, and Maggie is obsessed with it. 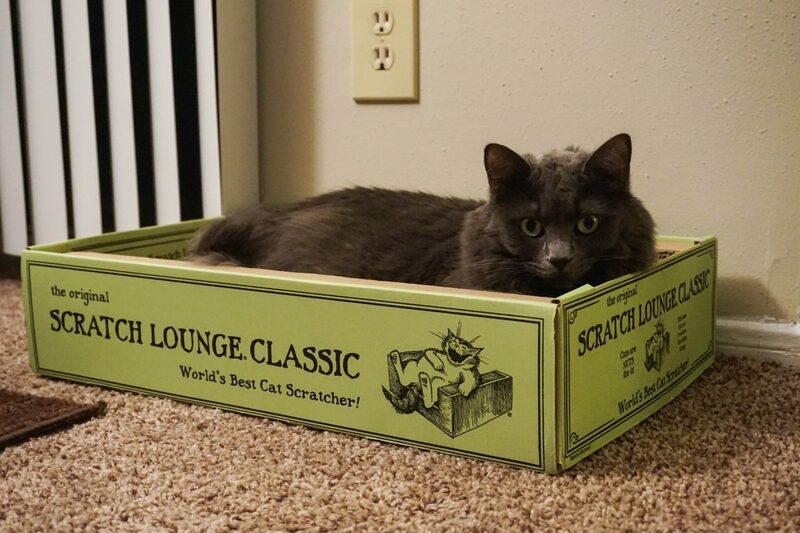 It keeps the scratching contained and isn’t as messy as regular, flat scratching boxes. THREE // The Good Girl. One of my goals for 2019 is to read more. Seriously, I’m ashamed of how few books I read last year. 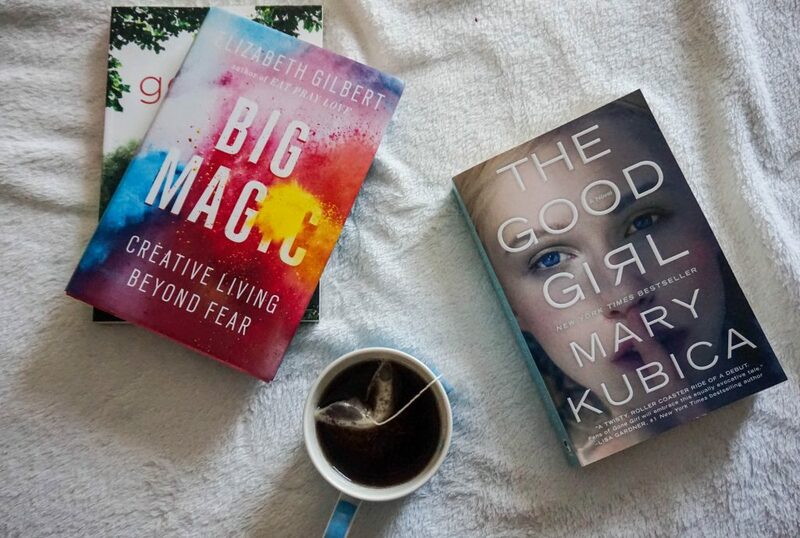 My friend sent me The Good Girl by Mary Kubica for my birthday, saying it was one of her favorite books of the year. I finished it last week and oh my goodness. My friend had told me the twist at the end was mind-blowing, but wow. If suspense novels are your thing, add The Good Girl to your list. After The Good Girl, I needed something a little more light-hearted, so I opted for Big Magic by Elizabeth Gilbert. So far, I’m loving it! FOUR // New cocktails! My other favorite Christmas present was a shiny bartender’s kit (similar). I’ve been playing with it and learning how to make some more “sophisticated” cocktails. The good news for y’all: some new recipes will be up on the blog soon. I can’t wait to shake up some good spring cocktails once spring fruits are back in season. Hello, berry smashes! FIVE // Blood Orange Cake. I got a bundt cake pan for Christmas, and I’d been itching to take it on its maiden voyage. 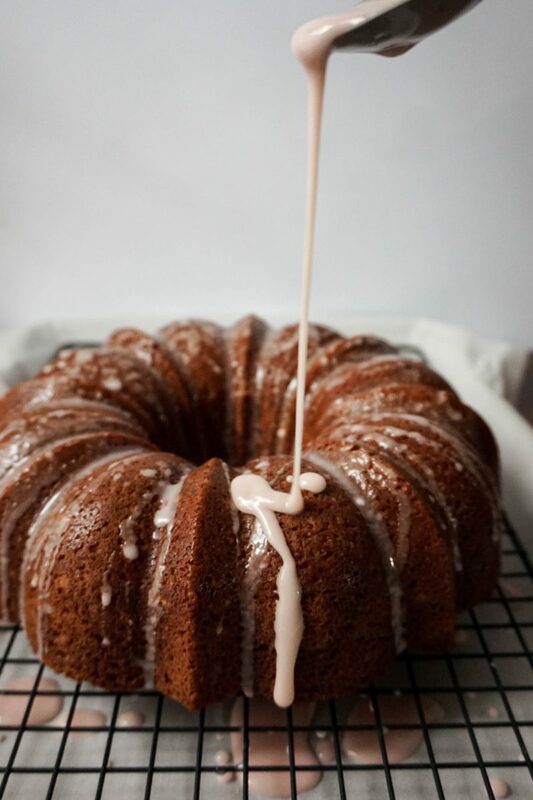 A couple weekends ago I picked up a bag of blood oranges at my grocery store, thinking about a fun twist on an orange pound cake. That blood orange cake turned out pretty delicious for the first round. I’ve got a couple things I want to tweak before I share the recipe, though. Soon! I hope y’alls first month of 2019 was a good one. And if it wasn’t as great as you hoped, then a new month is right around the corner. Here’s to February and the rest of 2019 being awesome! What were some of your highlights from January?